With all this talk of the UK music industry said to be in decline, one wonders what opportunities are available for bands and labels to break through in the foreseeable future. However, one independent label that has continued to thrive against such adversity is London-based imprint Rocket Girl. Launched in 1997 by Vinita Joshi (main picture), who experienced the ups and downs of working against the majors herself having played a pivotal role in the formation and establishment of Cheree Records and its offshoots Che and i almost a decade earlier. The first release on Rocket Girl, a split seven-inch single comprised of tracks by New York psychedelic veterans Silver Apples and Michigan duo Windy & Carl, seemed like a bold move in a musical climate firmly embroiled in a Britpop haze. Since then, the label has gone on to put out groundbreaking releases by the likes of Fuxa, Piano Magic, Pluxus, God Is An Astronaut and A Place To Bury Strangers, while also working with legendary artists Robin Guthrie and the Television Personalities. This month (Monday 24th) sees the release of 3...2...1... A Rocket Girl Compilation, a twenty-seven track collection celebrating the label's continuing existence amid such troubled times. Having released a similar compilation ten years earlier comprised mainly of the label's initial single releases, 3...2...1... features both familiar and unreleased tracks from all of the aforementioned as well as people like Serena Maneesh, Howling Bells and the Lilys and is a priceless souvenir of one of the UK underground's most distinctive independents. DiS caught up with Ms Joshi to discuss the label, how it compares with the rest of the industry, and how she balances running Rocket Girl with her other prominent roles such as artist management. DiS: How does it feel to be talking about Rocket Girl's 14th year in existence? Vinita: I’m really pleased that Rocket Girl is still going strong, especially with the current climate and so many labels having folded that started around the same time. DiS: Did you envisage that you'd still be doing this twenty-plus years later when you put that first Telescopes/Loop release out on Cheree Records back in 1988? Vinita: Back then it was really just a hobby and I didn’t really think too much about how long I’d be doing this for. DiS: What were your fondest memories of those early years and did you realise at the time some of the artists you were working with like The Telescopes, Bark Psychosis and The Sea Urchins would be held in such high regard as musical influences decades later? Vinita: When I was living at home I wrote to all the fanzine kids. I bought a Telescopes demo for £1 when Stephen was writing his own fanzine. I used to stay with the Sea Urchins all the time and I remember telling them both "If I had a label, I’d release your records", really not thinking that some day that would happen. I was so passionate about the Telescopes and copied their demo tape for loads of fanzine writers and friends. They were incredible live and we were all so young. I always believed in them. I was obsessed with the Sea Urchins too and saw them at every opportunity and even travelled with them to Scotland when they toured there. I say "toured", it was more a handful of dates… Bark Psychosis were a local band to where we lived in East London and their demo tape blew us away. I remember Graham (Sutton) from the band coming over with a tape of the first EP straight from the studio and it wasn’t eq’ed and he turned the volume right up and my speakers blew up! I have many great memories, but they seem to be tainted by bad ones too. I think just releasing all those great records was so exciting at a time when the music industry was so different. Peelie played 'Kick The Wall’ by The Telescopes on his show and read out our PO Box address. That was a life-changing moment. There was a postal strike at the time and when we finally retrieved our mail there were over a hundred letters and orders. That memory always stays with me. DiS: Having created both Che and i as offshoots of Cheree, what made you jump ship completely and create Rocket Girl? Vinita: It was a combination of reasons. We were funded by Sire and Seymour Stein and he wanted to take on a UK partner in Coalition. They worked with mainstream acts and I never felt they would understand where we were coming from. I could no longer put my hand on my heart and tell bands that we were the best label to work with. There were financial issues and personal stuff that affected my decision. I’d already decided to start my own label to release a Spacemen 3 tribute album. It made sense to go solo and I was no longer tied down to the constraints of others. DiS: How different was it back then to release and distribute music compared to the present time? Do you think technology has made it easier for smaller labels to become recognised and established or is that eclipsed by the financial constraints of the present climate? Vinita: Back then we could press 1000 12” vinyls and wouldn’t even think about them not selling. Perhaps we were lucky to work with successful acts so early on and overstocks were never an issue in those early days. Radio plays and press guaranteed sales, but it’s not the same any more. Getting a "Single of the week" review would guarantee sales as would plays on John Peel's show. Technology has definitely put labels on a more level playing field, as far as the Internet is concerned anyway. The costs are less than they were back when we were releasing records on Cheree. We’d have expensive photo sessions and would have to reproduce photos and send them to magazines. Things were much more expensive and so much slower. These days bands have recording studios at home and don’t need a label to come and pay for their studio. Everything is digital and immediate. DiS: Your first release on Rocket Girl was a split single between The Silver Apples and Windy & Carl. Did you see this as a massive gamble at the time bearing in mind Britpop seemed to be everywhere and were there any times in the early days where you had second thoughts about running the label? Vinita: The Spacemen 3 tribute was originally planned as the first release, but it took a year to get all the tracks from the bands, although it was worth the wait. I was very close to the Azusa Plane and they wanted to tour Europe, so I spent all my evenings working on a tour for the Azusa Plane, Windy & Carl and Silver Apples. Azusa Plane couldn’t commit to the tour in the end due to work commitments, but I continued to finalise the dates for The Silver Apples and Windy & Carl. I thought it would be cool to have a tour single to accompany the dates and that became the first release. I never doubted that release. I’d seen the Silver Apples a few times. I travelled to Rhode Island to see them perform at Terrastock 1 - I couldn’t believe the original line-up were playing - and then again when I helped with the Terrastock festival in London. I always thought they were underrated and they seem to be getting more exposure now. The only time I had second thoughts about the label was in 2002. I had a very successful label night at the ICA, with DJs and bands playing, merchandise stalls and light shows. I was working on five bands and albums and that summer I completely burnt out. I was disappointed by the lack of attention after all that hard work. I lived and breathed the label but the bands didn’t do as well as they deserved to. DiS: The first Rocket Girl compilation, a collection of the label's earliest singles released in 2001 featured the likes of Low, Piano Magic, Her Space Holiday and Fuxa. Do you look back at some of those early releases and see them as being groundbreaking both from some of the artist's perspectives and also the later influence they had on future genres and scenes such as "chillwave" for example? Vinita: I could definitely see the potential of bands that I worked with. I really wanted to work with Mogwai and Low but there was so much competition. I feel blessed to have the tracks I did from them. I’m not sure those early releases were groundbreaking, but they definitely have a place in the marketplace. Fuxa were certainly influential. Randall (Nieman) from Fuxa used to drive around listening to the Cheree compilation My Cheree Amour and now I drive around listening to his releases. There was interest from Andrew Weatherall, but he didn’t have a studio at the time, but there was talk of him remixing some tracks. I do think some of those bands were ahead of their time. Tracks like ‘Photon’ are timeless classics. DiS: Some of the label's most recent releases have included Robin Guthrie's Carousel, Television Personalities A Memory Is Better Than Nothing and the first A Place To Bury Strangers album. How did you get to work with such icons as Guthrie and Dan Treacy while beating off interest from bigger labels for buzz bands like APTBS? Vinita: I worked at Bella Union and I was always a huge Cocteau Twins fan. I met Robin and when he offered to work with me, I jumped at the chance. Dan was introduced to me by a mutual friend who suggested Rocket Girl for a single. Once I saw the band and heard the songs I wanted a whole album. I have been a fan for years - The Painted Word was one of my favourite albums and ‘Happy All The Time’ one of my favourite tracks. I couldn’t believe that it was the TVPs playing small venues around London! With A Place To Bury Strangers, I had a real nagging feeling that I should go and see them, so I jumped in the car and went to the Social. I was right at the front and they left me speechless. I said "hi" to Oliver (Ackermann) and introduced myself. I then proceeded to see them four more times that week and I pursued them on a daily basis. Their manager could see how passionate I was and Rocket Girl might be a small label but I always dedicate my time to one project at a time. Bigger labels work on tons of releases at once and I think if you average it out I spend more time working on a project than a label manager at a bigger label working on several bands. Also the office door doesn’t close at 6pm and I work all hours to accommodate bands outside the UK. That worked in my favour and also the fact that I could act quickly while the momentum was still there. I didn’t need the approval from several departments and we negotiated the deal while I was already in production. I’m not sure other labels would have done that. They are the nicest band I have ever worked with and that album will remain one of my all time favourites. DiS: At the same time, Dan Treacy in particular has a reputation for being difficult to motivate and work with. Were there times when you wish you hadn't got involved with the project, or did the end result justify the means? Vinita: I don’t think I realised the extent of Dan’s reputation. He isn’t the easiest person to work with, but he is Dan Treacy and he is a very sweet, but troubled guy. The result definitely justified the means. I would listen to the album daily singing ‘You’re My Yoko’ at the top of my voice! It's Surely an indiepop classic? Why wasn’t it the Christmas number 1?!? DiS: Your current compilation to commemorate ten years since the initial collection of early releases came out features many artists currently receiving their fair share of acclaim and recognition such as Serena Maneesh and God Is An Astronaut. Do you see yourself as something of an A&R scout for the underground as it were in terms of discovering and releasing new music? Vinita: I sure do! There are so many bands I have pursued (and lost) that have gone on to do really well. I don’t doubt my A&R skills, I just lack the finances to secure some of the bands I’d love to sign. I don’t have the history of other labels either, so it’s tough to compete. DiS: You mention that you've also worked for other labels such as Bella Union and Fat Cat. How do those labels operate in relation to a more singular independent such as Rocket Girl and do you ever get envious of other labels rosters? Vinita: It’s surprising how similar all the indie labels operate. There are a limited number of distributors and PR people in the UK and Europe. They all work with 70% of the same people. It’s just a different office with different bands and staff! The only difference is they are doing it on a bigger scale with employees. I don’t get envious of their rosters, but I do feel frustrated if I try to sign a band and they go elsewhere. Bella and Fat Cat have great rosters. Simon Raymonde has impeccable taste! DiS: What advice would you give to anyone thinking of starting a label in 2011? Vinita: It’s not an easy ride. It’s a lot of hard work, and takes a lot of commitment, time and energy. But if you find a band you believe in, go for it! DiS: You're also involved in artist management having worked with the likes of Kevin Shields and My Bloody Valentine in the past and Ulrich Schnauss and A Place To Bury Strangers at the minute. How do you manage to balance and combine so many different aspects of working in the industry? Vinita: I didn’t manage APTBS as such but worked closely with their manager Steve (Matrick). I think you get to see all sides of the industry when you wear different hats. Managing bands makes you see things from the artists point of view and I think that helps with the way I relate to bands on the label. We’re all on the same side. It makes life interesting combining different areas of the industry. DiS: Looking back through the Rocket Girl catalogue, which release(s) are you most proud of and why? 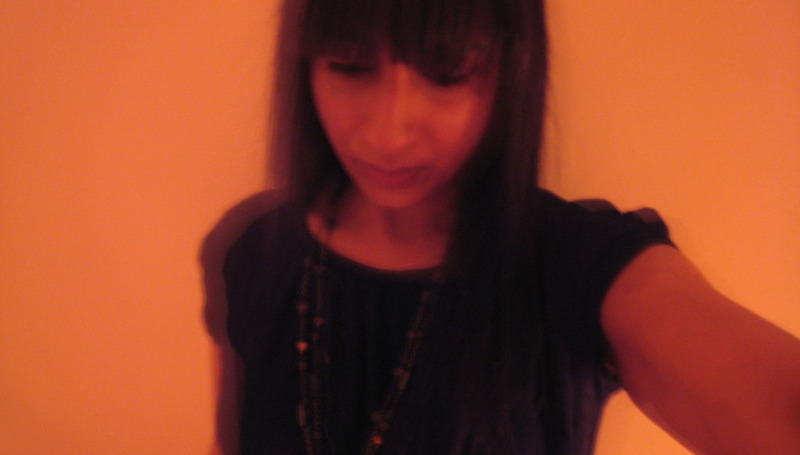 Vinita: I really love the Spacemen 3 tribute as I got to work with a lot of great bands like Mogwai before they were at their peak. It was also a thank you to Spacemen 3 who had a huge influence coming from the same town as me. Piano Magic were my focus for so many years and I listened to their first two albums constantly. Pluxus were the most fun, another incredible band live that never received the attention they deserved. Mazarin’s debut Watch It Happen is my favourite "pop" album and I was so happy when APTBS agreed to work with me, as live they really are very special. I’m proud of the whole catalogue without sounding too big headed. I think they all have a special place in my heart. DiS: Finally, what is Rocket Girl's schedule for the rest of 2011 and beyond? Vinita: There will be a new Sam Kills Two album out at the end of February. I am also really excited to announce the signing of Drugstore. We have a long history, which Isabel Monteiro talks about in her blog. They are in the studio now and there will be a single and album later in the year. Ulrich’s new album will hopefully be out by the end of the year as well, but we haven’t confirmed the label or labels we’ll be working with yet. For more information on Rocket Girl Records visit the official website.